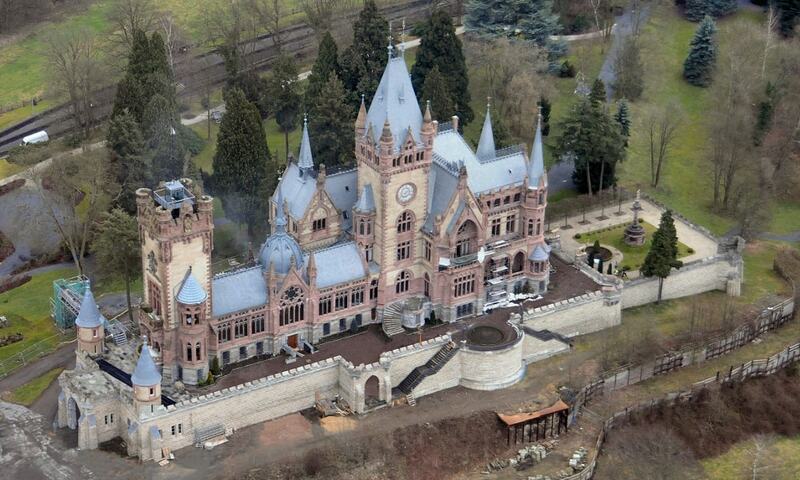 Schloss Drachenburg is a private villa in palace style constructed in the late 19th century. It was completed in only two years (1882-84) on the Drachenfels hill in Konigswinter, a German town on the Rhine near the city of Bonn. Today the Palace is in the possession of the State Foundation of North Rhine-Westphalia. It is served by an intermediate station on the Drachenfels Railway.